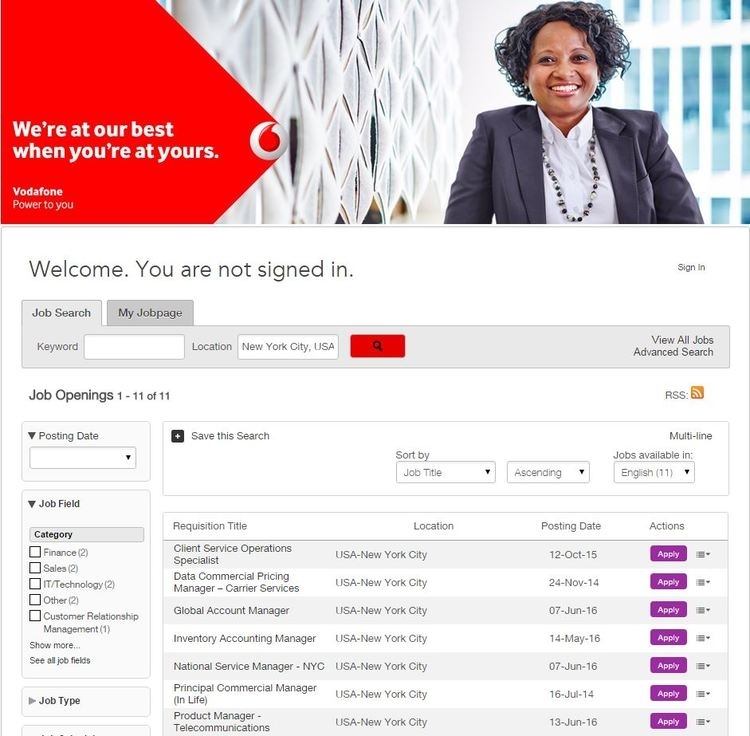 After entering the Career page of the Vodafone official website, click "Join Vodafone" and you will find two choices, "Global Locations" and " Vodafone Group". Click and enter "Global Locations" page, then you need to choose a country, such as United States, Australia, to work in. If you choose to work in the United States, the provided jobs will be offered in a list. You just need to click the wanted one and start the applying process. There will be a list of all job openings after choosing a specific location, and information, such as position titles, posting date will also be seen. If you are interested in a position, for example Global Account Manager, just click "Apply", and the application process will begin. What's following step two is the privacy agreement you need to read. After that, to start the whole process, you need to begin with creating a new Vodafone account. If you already have one, just enter your user name and your password to log in. 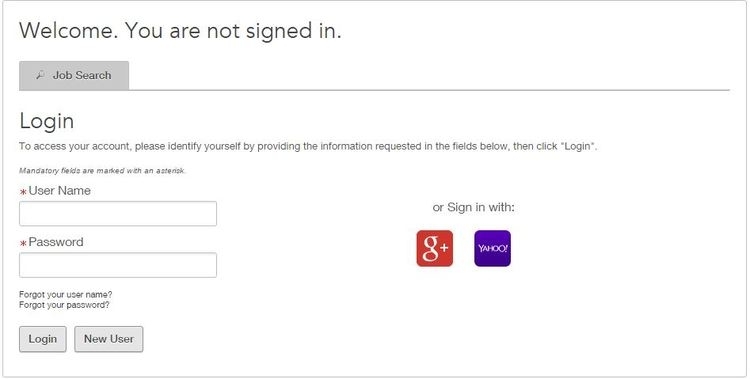 The following step will take "Create an account" as an example. 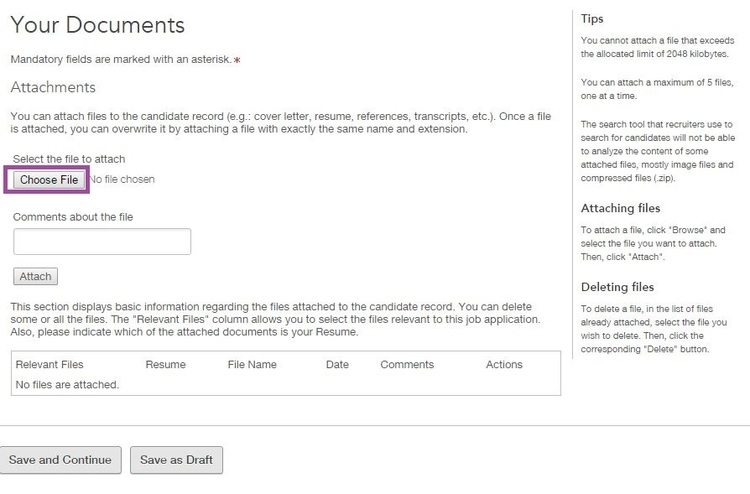 In this step, you can either choose to upload your complete resume or simply complete the online submission by typing in your information. There are certain restrictions on the type of files you are going to upload, so you should read carefully to successfully upload your perfect resume. And if you prefer to find out what kind of information are going to be required on the following steps, just choose to fill in the submission manually. 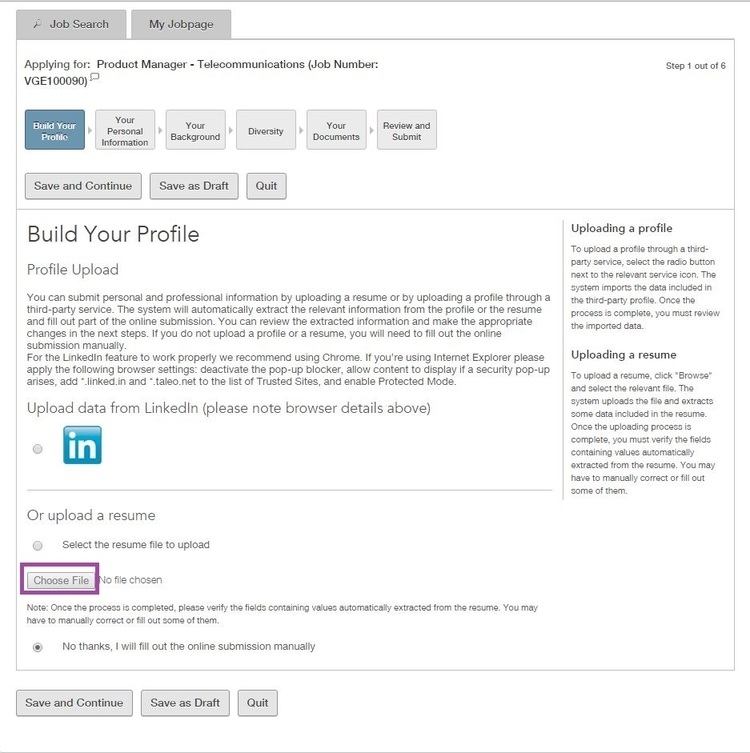 Certain information is required for the application, including your personal information, your background. Since the company intends to create a diversified environment, some questions concerning diversity will be asked. Mandatory fields are marked with a red asterisk as you can see on the page. Fill in your information with carefulness and hope your process goes well. This is one of the steps that will make you different from other candidates. You can choose attach a maximum of 5 files or documents, each of which representing a special aspect of yourself. Your personality, your attitude towards life, and your professional skills can be regarded as positive elements for the position you are applying for. Seize the chance and impress the recruiters! You are ready to come to the end of the whole process in this step. Before that, you may want to have a look at what you just filled in and make a review, in case there is a mistake that may cause imperfection to your "online resume". 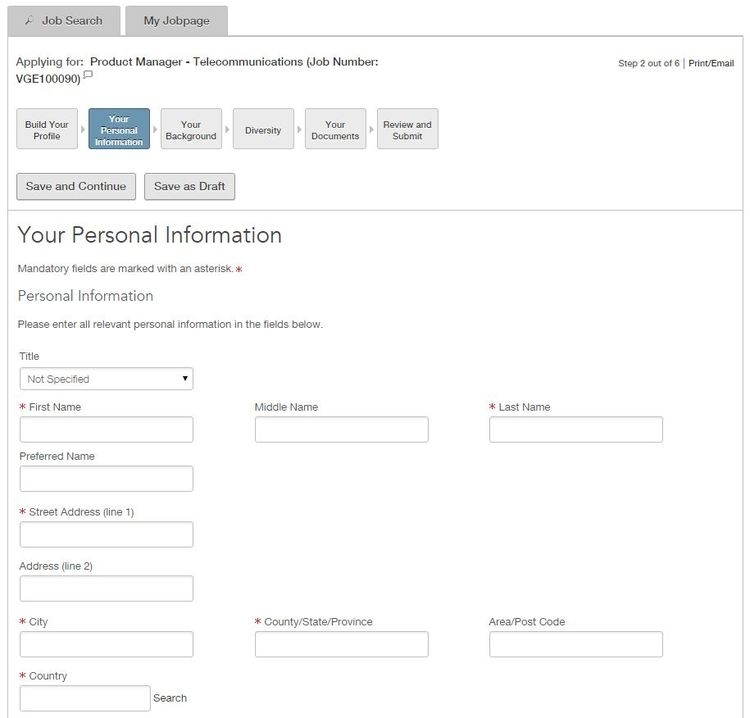 This step will show you all the contents of your application for your convenience to review. Your application will be submitted and received by the recruiter once you click the "Submit" button. Congratulations! You have finished your application at Vodafone. You will be soon contacted if the recruiters consider you equal to the applied position. 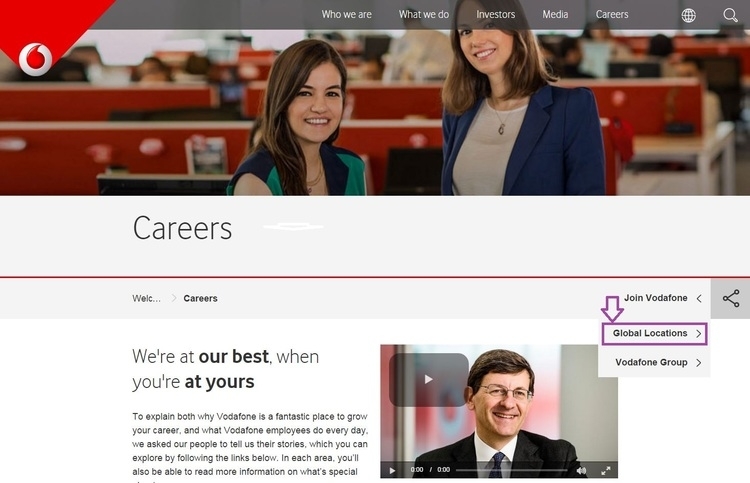 Click vodafone.com/careers to apply for Vodafone jobs online.